Katsa has a natural talent for killing, known as a Grace. Her uneven eyes mark her out as a Graceling, and her skill means she is feared by many and has few friends, in spite of being the king's niece. The king, Randa, is a nasty piece of work with a cruel streak. But Katsa has been going behind his back via a network of like-minded people in order to do good across the seven kingdoms. It's on one of these missions that she comes across a mysterious graced stranger whilst carrying out a daring rescue. That rescue raises more questions than answers: why did someone kidnap and aged royal who had little power, and who was responsible? As Katsa and her friends work on solving the mystery, the stranger with powers to rival her own keeps turning up in her life. 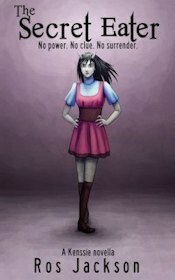 Katsa is a complex character, afraid of her own anger and violence, and unaware of how other people see her. Her parents have passed away, so she's short of people to trust. Her servant, Helda, her cousin Prince Raffin, the teasing and critical Lord Giddon, and the manservant Oll form her inner circle, yet she's distant even from these people. Katsa is fed up with killing or even harming others, but fears what will happen if she disobeys the king. This rebellious spirit sets the stage for a fun, rollicking adventure that gradually warms up into a tense struggle for the future of a number of kingdoms when Katsa learns of a spreading evil from a nearby kingdom. The story kicks into a higher gear around halfway through the book. Mixed in with the action is a slow-burn romance. This is a sweet and fairly soft focus love story, in that even when the romance is described on the page it isn't explained with biological precision. The main issue I had with Graceling was that Katsa is something of a Mary Sue character, a perfect assassin whose flaws are mild ones that she can grow out of. The power that she has tends to lower the story's suspense, although she does meet her match later in the narrative. She has issues with closeness, commitment, and losing her sense of herself. The flip side of these aspects of her personality is that she is easy to relate to and a great wish fulfilment character. The world is one of medieval kingdoms where magic is rare and limited and the cruelty or kindness of rulers changes everything. 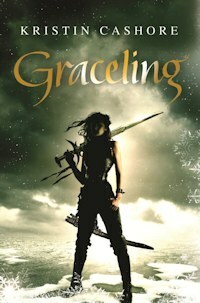 Graceling is a fairly conventional fantasy that relies on the drama between its main characters to hold readers' interest. These characters are a quirky, varied and sympathetic group (apart from the villains) and they are depicted believably. So this is an enjoyable and engrossing romantic adventure that I found easy to get carried away with. A beautiful assassin must secure her freedom by winning a contest against other thieves and killers. But a year as a slave has left her weakened and out of practice. What does a milkman deliver?